Tomatoes ‘Andes Heirloom’ (Solanum lycopersicum 'Andine Cornue'): growing, planting, caring. Long pointed, deep red wide pepper-shaped fruits. Reportedly brought to France by a collector from the Andes. Indeterminate plants with wispy regular leaves produce long pointed, deep red, up to 7" long and 2" wide pepper-shaped fruit. Meaty, firm flesh with few seeds and rich flavour. 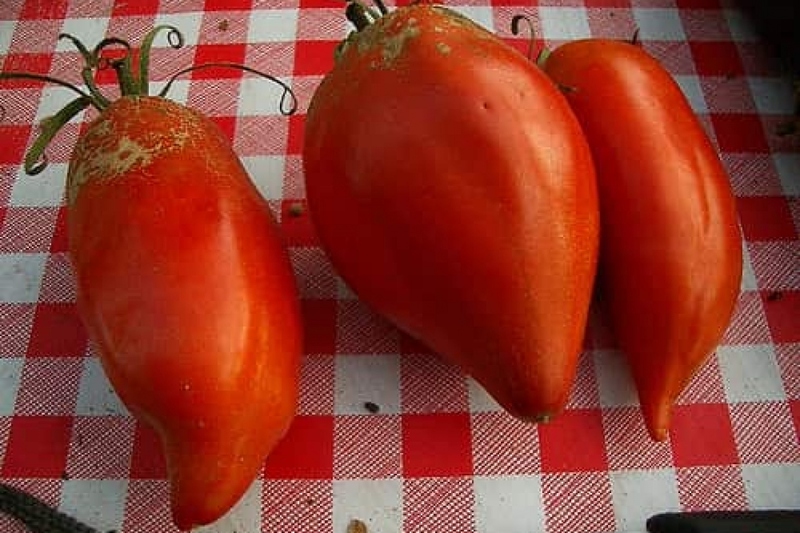 A great tomato variety for making a delicious sauce.